I try to give back and volunteer all year long, but this time of the year, I do try to “kick it up” a notch. Holiday Spirit as they say, and it is so easy to find a volunteer opportunity or way to give back – big or small every act of kindness makes a difference. 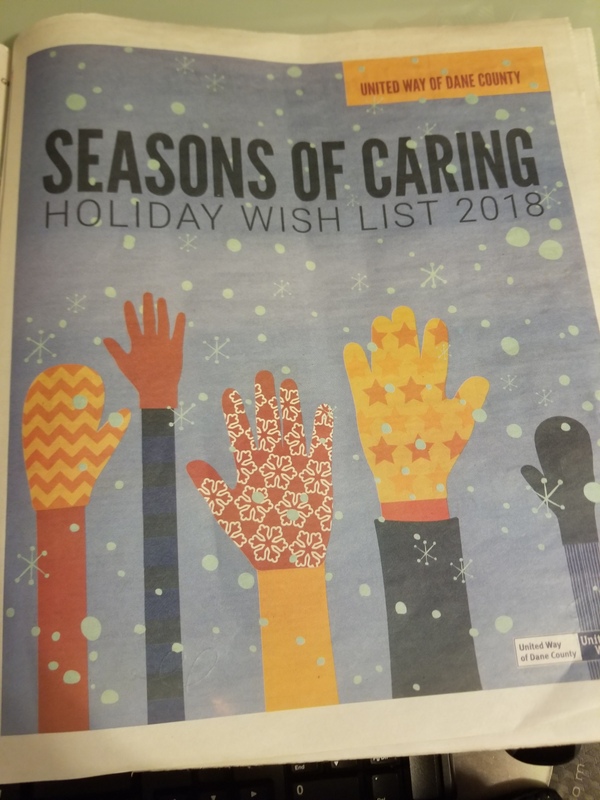 I am grateful that the United Way of Dane County puts together the “Season of Caring” Holiday Wish List published in the November 15-21st issue of the Isthmus. It makes it very easy to see all the different agency that need support and how best to give support. Last weekend, I was in the “declutter and purge” mode. 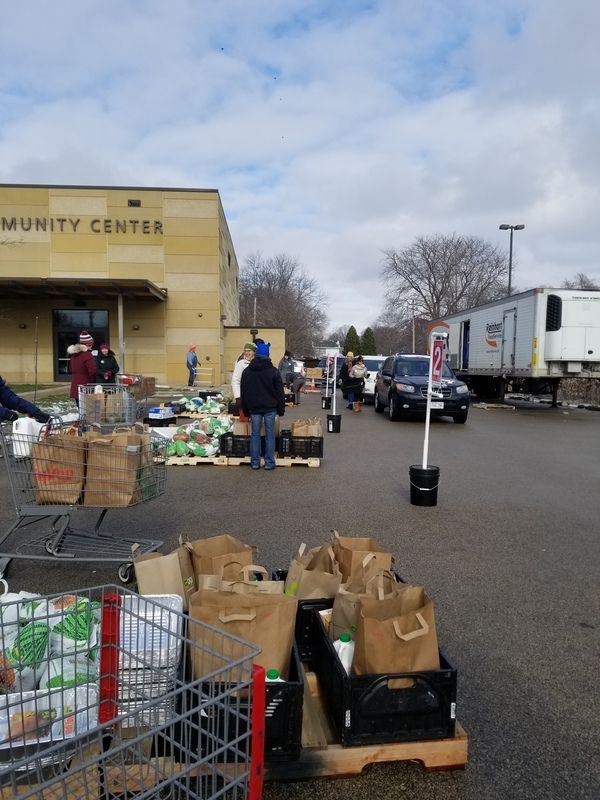 Typically, I pack everything in 3 piles – donate, toss and sell – this year, I looked at what I had to donate and sell and then looked at the list of needs listed by hundreds of agencies. I had several boxes of birthday cards (around 150 individual cards) that I purchased when I was in a different work role and sent out more cards. I didn’t need that many and in the Season of Caring guide, I discovered the nonprofit Box of Balloons. 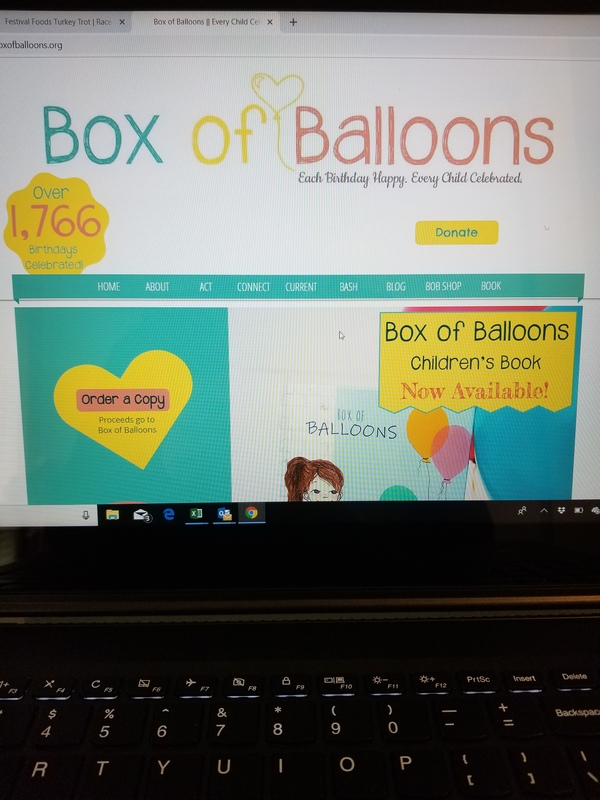 Box of Balloons mission is to make every birthday happy and every child celebrated by providing birthday celebrations for children in need. These are children often living in homeless shelters, domestic abuse shelters, and served by social service agencies. One of their needs were birthday cards. I was happy to drop off my stash. 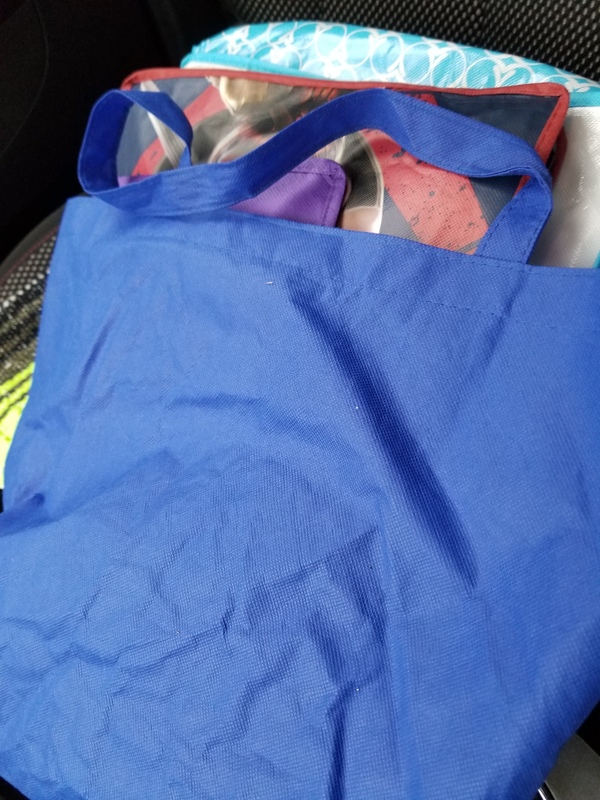 Be honest, how many reusable bags do you have from every trade show, golf outing, super market, special event you have gone to? I went through my stash and I was able to part with several bags. They are still great bags, but I only need so many. I donated my stash to the Goodman Community Food Pantry Program. I was volunteering there a few months ago, and I remember them saying they like the reusable bags for families when going through the pantry versus plastic because they are more durable and reusable. Go through your stash and give them to your local food pantry! I am sure they are always in need. 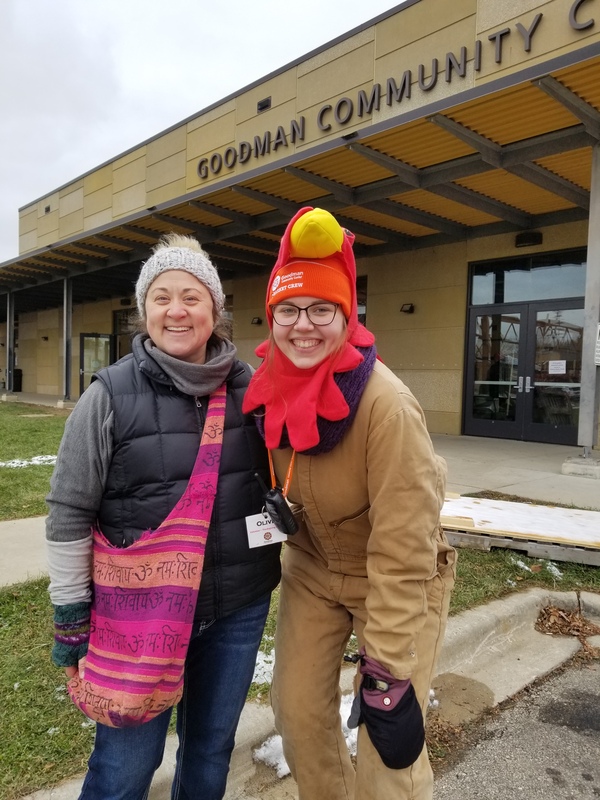 This is the 3rd year that I helped for the Goodman Community 30th Annual Thanksgiving Basket Drive. 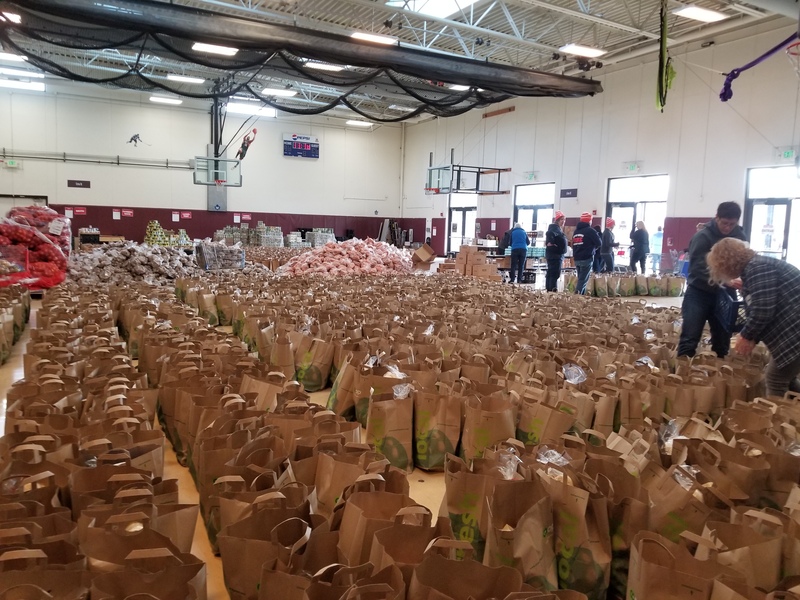 This year, I volunteered a few weeks back sorting the food, and then I volunteered to help distribute a full Thanksgiving meal to families in need. 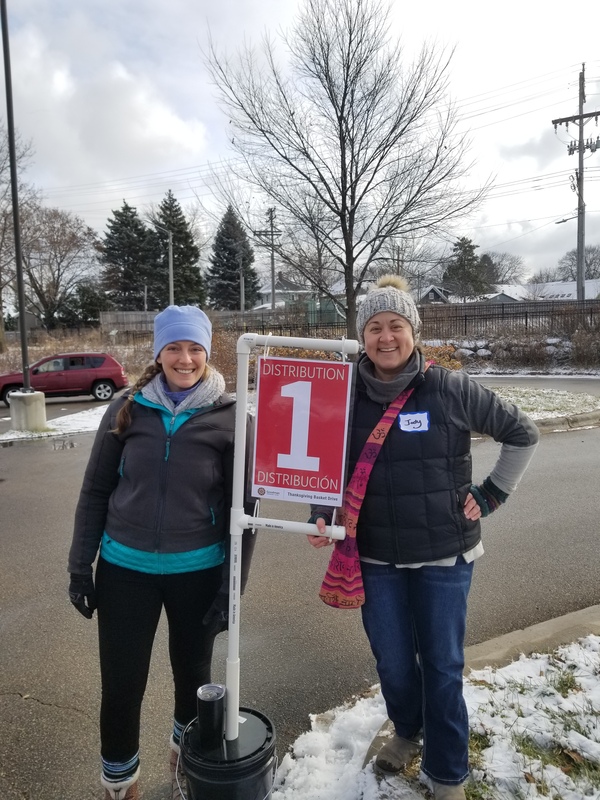 Talk about a rewarding volunteer job and the entire operation was a well-oiled machine. The staff and lead volunteers did a great job of providing orientation, training and recognition (The Ian’s Pizza was amazing on break). I lucked out that it was a reasonable warm day for November as I was outside for four hours, but I was not cold at all because of all the warmth and thank you’s received as I was putting a full Thanksgiving meal in the vehicle of these families to enjoy on Thanksgiving Day. I am still reading through the list and seeing how I can help support different organization. I would love to hear from you, were do you volunteer during the holidays, or how do you like to give back? Have you started any family traditions centered around volunteering?